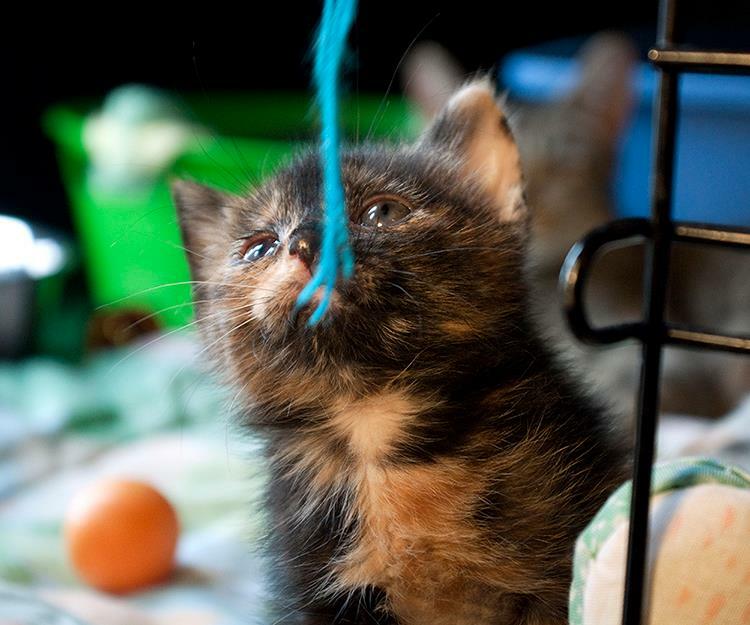 “Know Me Better” is a personality matching system we use at the Mid-Michigan Cat Rescue that is unique to our organization. This system is used to pair each potential adopter with the best possible cat. We create a personality profile for each of our cats based on their specific physical, mental and emotional characteristics. We are able to create such detailed profiles of our animals because of our foster home system which allows our volunteers to have a lot of one-on-one time with each cat. We find it important to promote the idea to each of our volunteers that each cat is an individual with an original personality. Along with figuring out their personal characteristics, we work with each cat to ensure that they are healthy–mentally and physically–before adopting them out. Knowing what type of personality a cat has is important because our main goal at the MMCR is to find our cats a forever home. We need to make sure that not only is our cat right for the family interested in them, but that the family is right for our cat. At our adoption events, we have potentials adopters fill out our super-easy, three-minute “Adoption Matching Questionnaire”, which gives us an insight into their home life– the activity level of the home, the number and type of pets already in the home, what type of personality the adopter is looking for in terms of playfulness, affection, etc. It is vital to get a clear picture of what the adopter wants in a cat so that we can match them to the cat that suits their family best. We stress to adopters that each cat has its own charming personality and that we are there to find the cat that is best for their family. We want the cat to stay with the family just as much as the family does. After almost 10 years and over 3,000 adoptions, we feel confident in saying that our “Know Me Better” personality program works. It is quite interesting to see people’s reactions to our program. They are always very amazed that we focus so much energy into not only taking care of the cats’ physical needs, but also developing and discovering their different, adorable, and sometimes even silly personalities! Many people get their cat based on looks and/or age and may only give passing thought as to whether or not the cat will get along with the dog they already have, or if the cat is as playful as they want it to be, or if it would feel comfortable in a busy house with small children. We see many cats enter our program from homes that didn’t like the cat, or weren’t able to care for its needs effectively, or weren’t willing to take the time to let the cat bond with them. We want to make sure that each cat that enters our program leaves it for a better life than what they had before. We want our cats to go to a home that will appreciate them for what they are: a unique individual who is looking for a loving family to take care of them. Our matching system was created to do just that, and the hundreds of people who have adopted our wonderful kitties can attest to the fact that it is a useful tool in helping families find the perfect cat.